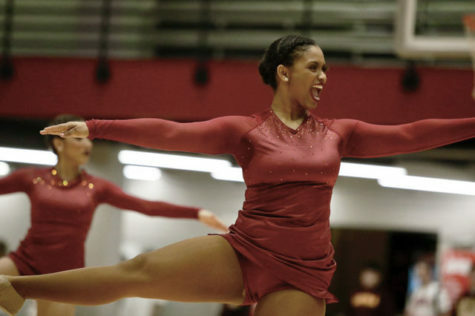 Biology senior Kristen Williams juggles being a part of SGA and being on Loyola's cheer team. 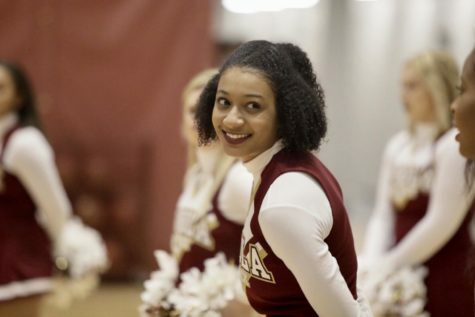 Biology senior Kristen Williams has gotten the best of both worlds at Loyola, being a part of the Student Government Association and a cheerleader on Loyola’s competitive cheer team. 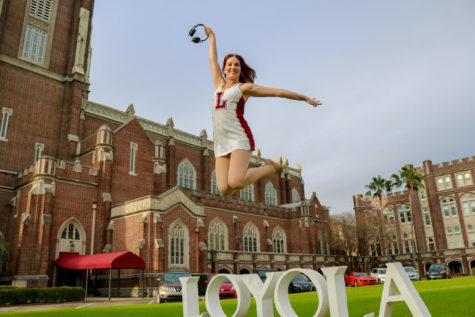 Williams started off with both organizations as soon as she started her education at Loyola. 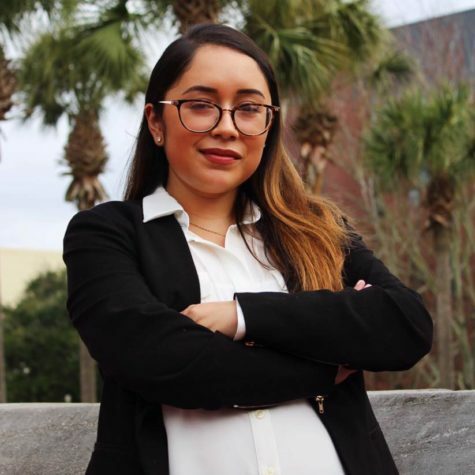 She became a member of First Year Council her freshman year, moved on to become a senator for the College of Arts and Science her sophomore year and currently serves as a senator-at-large in the SGA Senate. 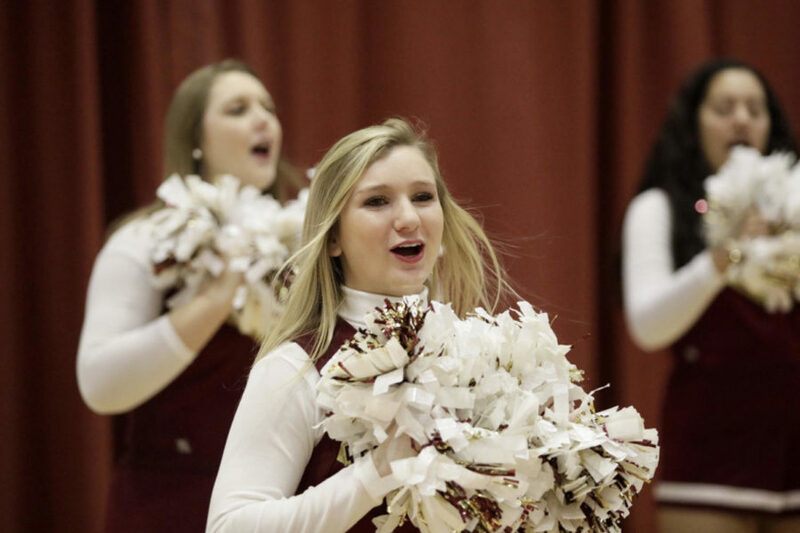 On top of all her senatorial work, she still makes time to be a team leader on the sidelines of basketball and volleyball games for the cheer team. Being active through school government and athletics might be daunting for incoming freshmen, but Williams had experience grappling both activities while she was attending Dominican High School, where she served as captain of the cheer team and president of her school’s Student Ambassador’s Organization. 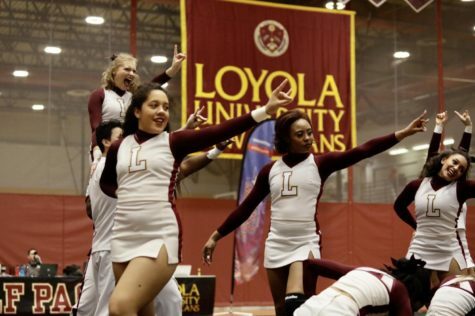 Williams has been a dedicated member of both SGA and Loyola’s cheer team ever since her freshman year. Her time with SGA has been filled with achievements as she has been a part of the team that initiated a pet disposal stand outside of Carrollton Hall and having outdoor picnic benches placed near Monroe Hall. 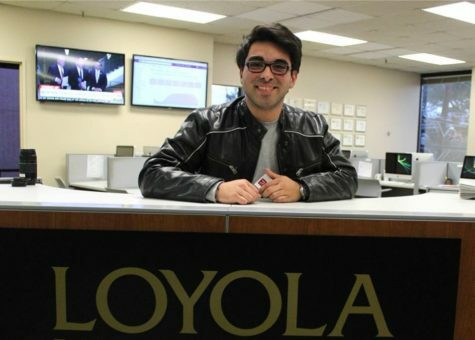 “This semester, I am extremely excited to spearhead Loyola’s homecoming game coming up on Feb. 14. Looking forward I hope to continue to push my committee members to accomplish as much as possible before our term ends,” she said. 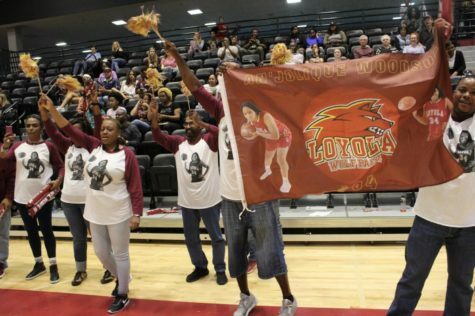 On the other side, Williams has found just as much joy and satisfaction cheering on Loyola’s sports teams in The Den. “When I was recruited, I knew being a part of the first team was important to me and would be an unforgettable experience. The bonds that I have created specifically with the original team members has stood out to me and will forever. Working with my team to overcome the many challenges that we face has helped me to grow, and I cannot wait to see what the future holds for our team as we continue to add talented cheerleaders,” she said. 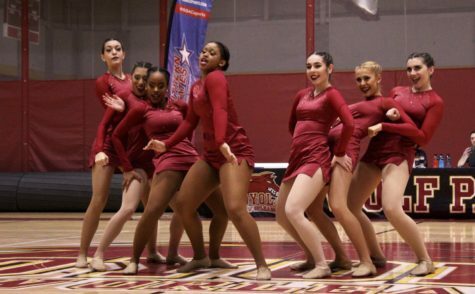 Being a part of the cheer team and SGA, along with the typical hustle and bustle of a college student, can be a lot for one person’s plate. However, for Williams, everything she does requires time management and self-motivation in order to keep her going. “I never want to feel burnt out, so sometimes this means I have to keep myself positive and remember to enjoy college while taking care of my responsibilities. I know my experiences will set me up to take on life, so the end goal always helps me stay on track,” she said. 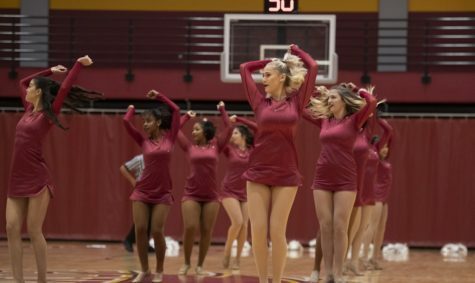 After her four years of being on the cheer team and SGA are finished, Williams hopes to leave her legacy behind in everything that she was a part of.